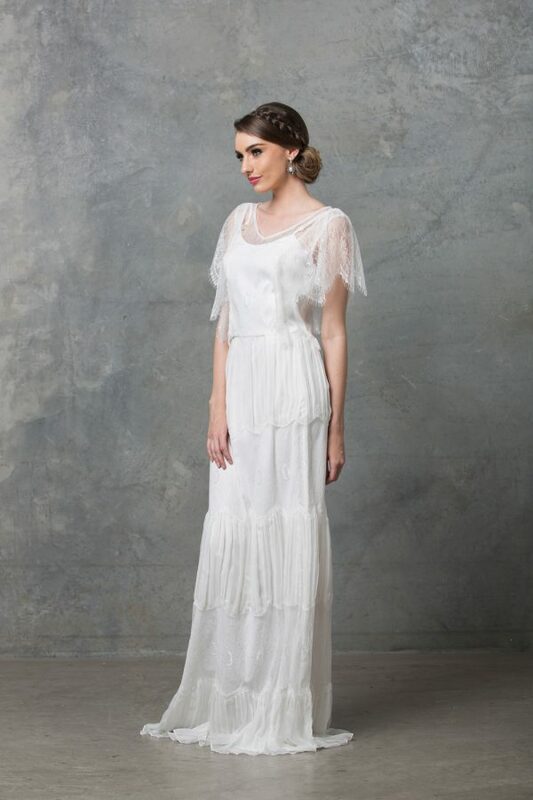 Feel like a goddess stranded on a tropical island in the Grecian goddess white wedding dress by Tania Olsen. Also suitable for a formal or wedding guest. 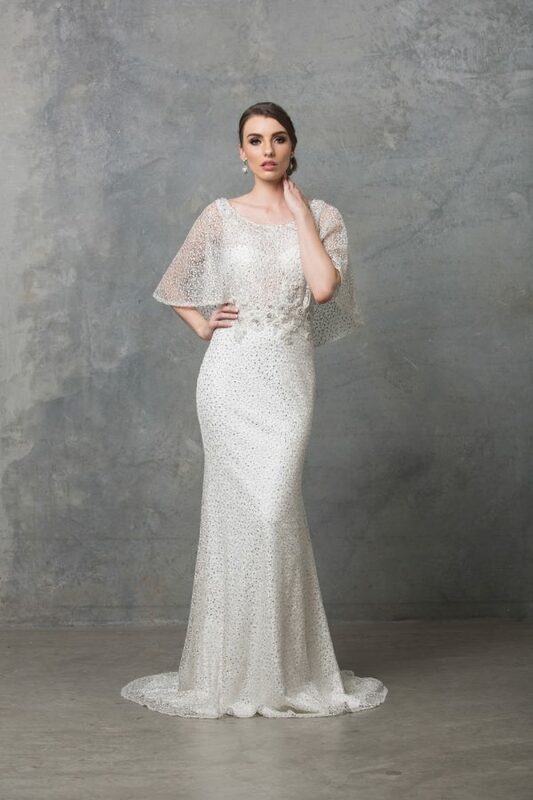 The Grecian goddess white wedding dress has a beautiful shape to it. A very feminine item made from beautiful luxury silk. It’s flowing drape falls gracefully into a full skirt. 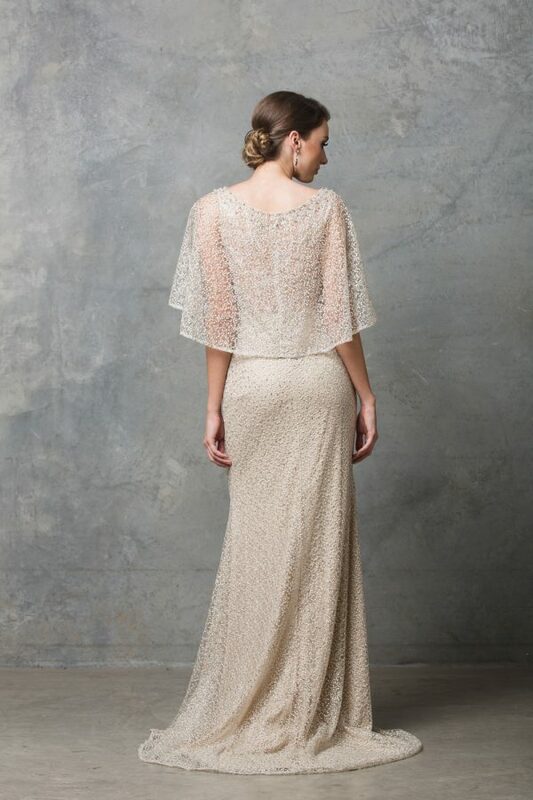 This Australian designed gown is a one of a kind and will be the perfect romantic addition to your next event.